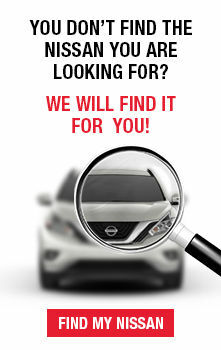 Looking for a used Nissan for sale in Montreal, at the best price in the region? Come see us today at Spinelli Nissan near St-Eustache and Île Perrot, and reserve your test drive of one of our vehicles in stock! On location, you will find a large choice of utility vehicles, sedans and pickups, for all tastes and all budgets. Come select yours today! Most of our used Nissan vehicles near Laval are returns from our clients; so you can be sure that we took great care of them over the years! On site, take the opportunity to find out more about our current Nissan promotions as well as our various financing offers, both for our new models and for our used Nissan for sale in Montreal. You can also take a look at our Nissan liquidation section, where you could snap up exceptional bargains on our used vehicles in stock! Whether you are looking for a sedan such as our one of our used Sentra, pre-owned Altima or pre-owned Versa, at Spinelli Nissan, you will find the vehicle that will best match not only your tastes, but also your budget. Would you prefer a subcompact? We have several used Micra in stock, at prices defying any competition! An if you need more space for your family, or even for your camping weekends, you could then opt for one of our used Nissan Rogue or pre-owned Murano, allowing you to comfortably accommodate your passengers, with space to spare for your material. If you’re still not sure that will be enough space, you could take your pick of our various used Pathfinder! 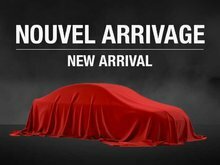 Do you wish to know more about our used Nissan vehicles for sale in Montreal? Visit our website or come see us today at Spinelli Nissan near Île Perrot! Take advantage of the largest selection and best prices on used Nissan near Laval now, in addition to our financing offers and exceptional promotions on our vehicles in stock! Be the first to know about Spinelli Nissan's special offers and sales events.